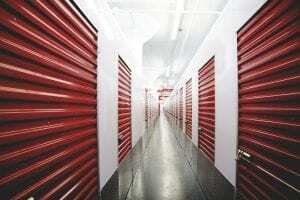 If you are looking for a self storage NYC Bronx company, look no further! Moishe’s Self Storage offers a variety of self storage packages that are high quality and affordably priced. In just a few easy steps, you can have a clean, affordable and secure storage unit of your very own! Stop by our locations in the Bronx or Queens to see the Moishe’s difference for yourself. 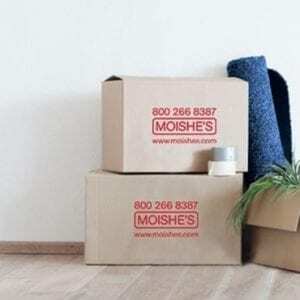 From our 5 X 5 foot to our 10 X 20 foot storage units, Moishe’s Self Storage will have a storage unit package that fists your individual needs without breaking the bank. If you are in the market to store some of that apartment clutter, or holiday decorations, our 5 X 5 storage units are the size for you! However, if you are looking for a little more space, our 10 X 10 storage units can fit the contents of an entire one-bedroom apartment, no problem! If you are still unsure about your size needs, just give one of our knowledgeable and friendly representatives a call to discuss your needs. Another amenity that sets us among the top is our spacious, customizable units. Our storage specialists have tackled the toughest storage situations and know how to customize a unit to fit your belongings. Moishe’s facilities also feature spacious elevators with wide doors. Moishe’s Self Storage facilities feature elevators that are double-wide and can fit the most awkward of furniture sizes. hassle. Let us take care of the logistics. If you purchase a 5 X 10 foot storage unit with a three-month commitment, we will come to your apartment or condo and do the heavy lifting for you! That’s right, we transport your personal items to our Bronx facility for free! After you have moved in all of your personal items to our modern Bronx facility, we take care of the rest! Our top-of-the-line security system will keep your personal valuables safe and secure. All of our storage units are monitored via closed circuit cameras, and patrolled by our professionally trained security guards. There may be several self storage NYC Bronx companies, but none as high quality and affordable as Moishe’s Self Storage. Take a few steps in the right direction, and contact Moishe’s today!